The Pink Drink – Hype or Hot? If you are a Starbucks fan like I am, you might have heard about the secret menu of drinks that you can only get if you know the special code name or.. if you use the app and customize your drink. The Pink Drink is one of those super trendy secret drinks that have made Instagram rounds and I finally tore myself away from hot and frothy to try this cool “refreshing” drink. At $4.85, this drink is a bit more than the other “Refresher” drinks available. It takes more time also to make. So patiently I waited for over 30 minutes, behind all of the other lattes, quicker drinks, and heated up muffins. Until I finally had to ask what was going on. Truthfully, I just think they didn't want to make my drink and it showed. What it the “Pink Drink” made of? They start with strawberry açaí refresher mix and coconut milk poured over ice. Throw in some strawberries and you have a milky pink drink. This all sounded fruity, sweet, maybe even a bit tart. Perfect for a hot afternoon and an umbrella by the pool! Definitely… hype. In fact, it borders on gross. It isn't very sweet at all. It is watery, tasteless, and if it didn't have strawberries, I wouldn't have thought this was the infamous Pink Drink people have been drooling over. Strawberries? I think I got 5 slivers of strawberry and some pink syrup. Yuck! Honestly, I wanted this to be better than it was. But it is all hype and not worth the extra time and effort. 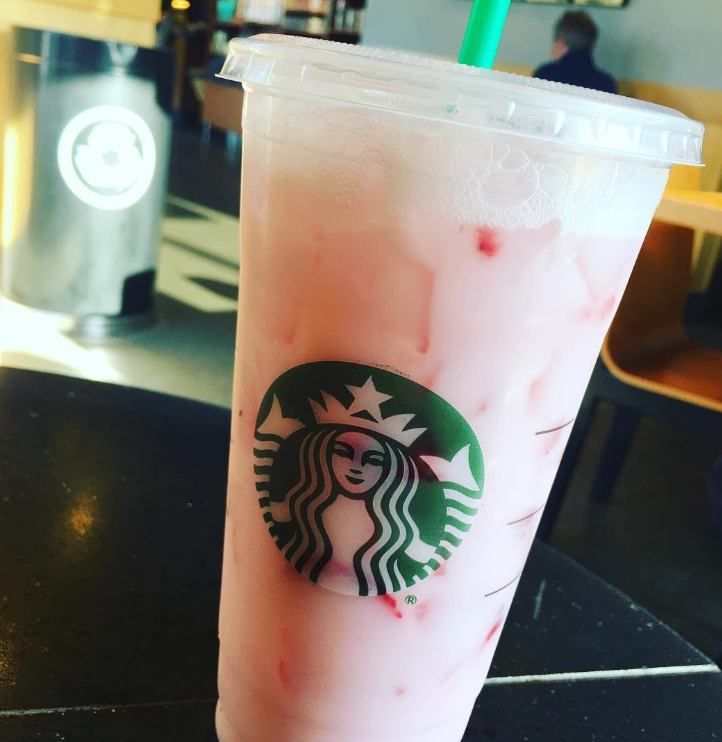 And when I went to look at other Instagram photos of the Pink Drink not added with heavy filters or staged photos, they didn't look much better than mine. Overall the drink is a preteen fashion statement, not a sunny day mouth party. Save the money and go for a peach green tea instead. This trendy tryout was a bust. OH… and after an hour, this drink looked CHUNKY! Everything separated and got really weird looking. Gross. Sorry Starbucks, this one is a bust! I must be getting old…..every time lately when I see a phrase like ‘super trendy’ I just turn off. Ugh. Before I transferred to my HR gig with the bucks, I worked in a cafe stores for three years. This drink is sooo gross, and I definitely didn’t enjoy making it. HA. I’m with you on this one. I am glad I am not the only one!